MRT Welcomes Children of All Ages! At Monmouth Reform Temple we recognize how important it is to find other Jewish and Interfaith families with very young children, which is why we host Bagels & Blocks often on the third Sunday of every month. Our program focuses on toddler and preschool aged children and their parents or grandparents. We are delighted to partner with PJ Library to introduce the excitement and joy of Jewish values and holidays to your little ones. With plenty of free play interspersed, our morning includes time with the Rabbi reading of a PJ Library book, singing songs with our Cantor and song leaders, and the making of a craft. We also perform a quick kiddish before snacking on bagels and grape juice (and coffee for the grown-ups). Because our primary goal is to foster relationships and help young families connect to one another, our program is free and open to the public. NO RSVP REQUIRED – JUST JOIN US AND HAVE FUN! 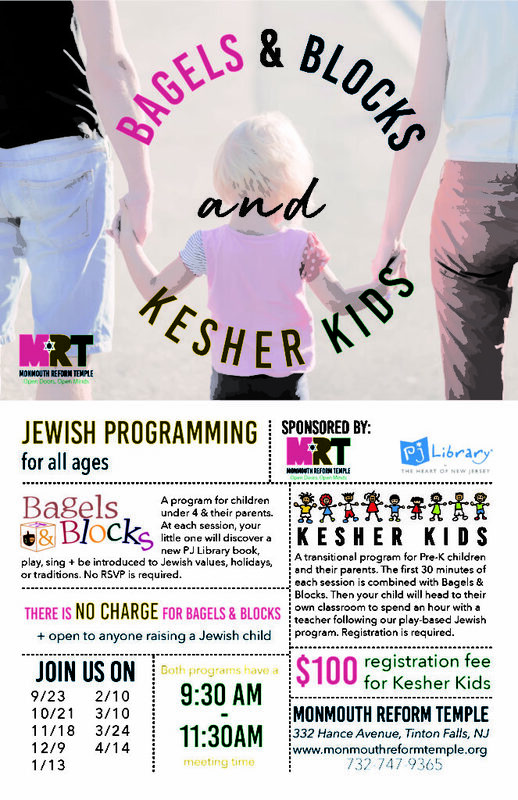 For Pre-K (4 year old) children and their parents we offer a transitional program named Kesher Kids. The first half hour of each session is combined with Bagels & Blocks. Then the children will head to their own classroom to spend an hour with a teacher following our play-based Jewish curriculum. This program is $100 for the year and open to anyone raising a Jewish child. Registration is required. All sessions start at 9:30am and run to approximately 11am. 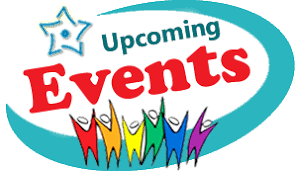 We hope you and your little ones will join us to connect and celebrate at these excellent programs!